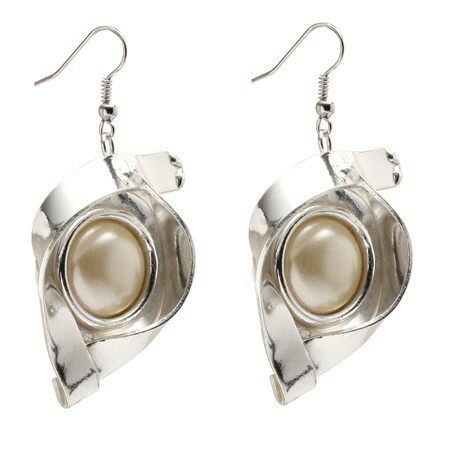 Stunning chunky beaten-silver earrings with pearl mock stone encircled by twisting silver strips. 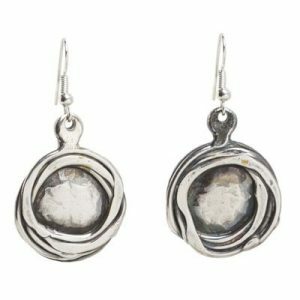 This earring is available in a Hook, Clip or Post backing. 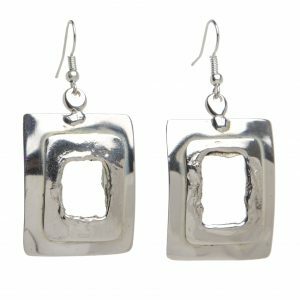 Handmade by Jumali Accessories, South Africa..